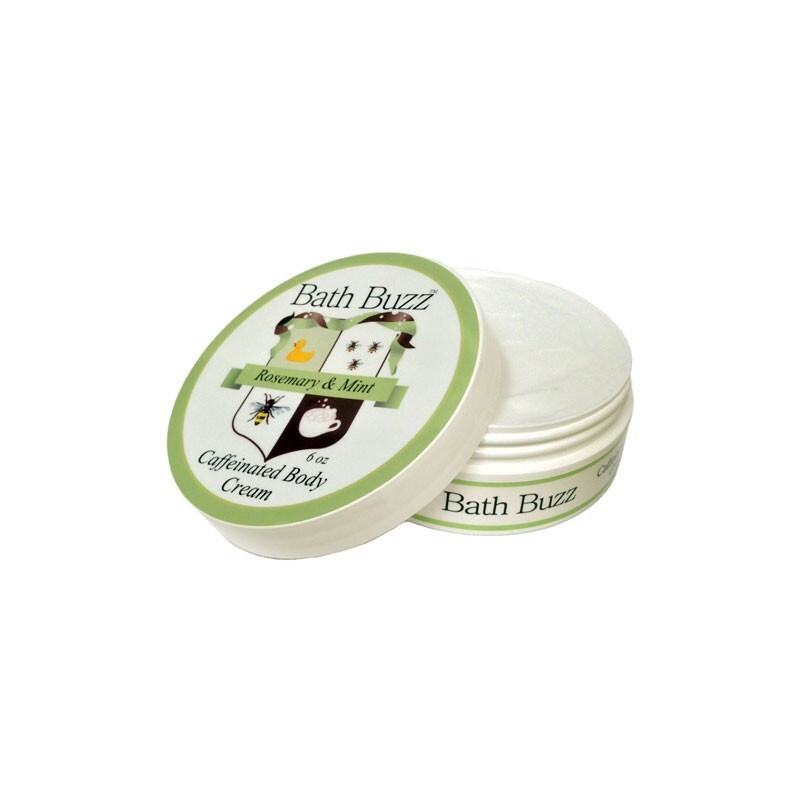 Bath Buzz rosemary mint body cream is made with rosemary and peppermint essential oils and infused with caffeine. The rosemary and peppermint oil in the Bath Buzz cream is energizing and awakening while the caffeine tones your skin. The cream also includes vitamins A,C, and E to nourish your skin, plus camomille, lavender, and aloe vera extract to leave your skin feeling silky soft.